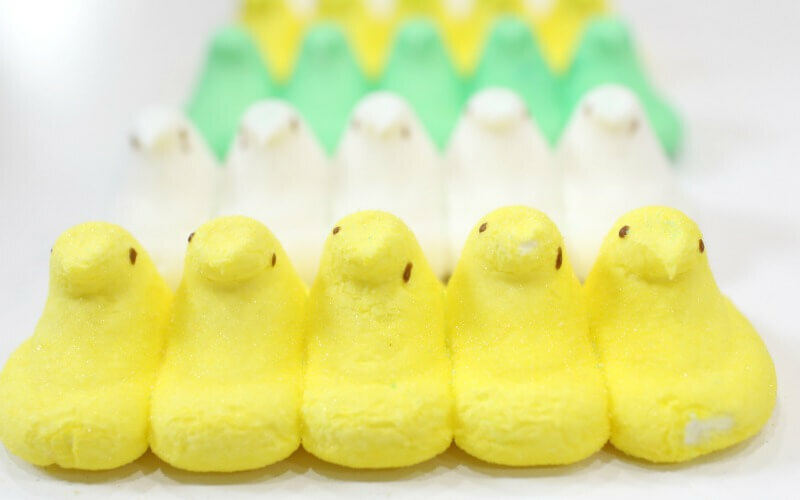 We are on a peep kick. 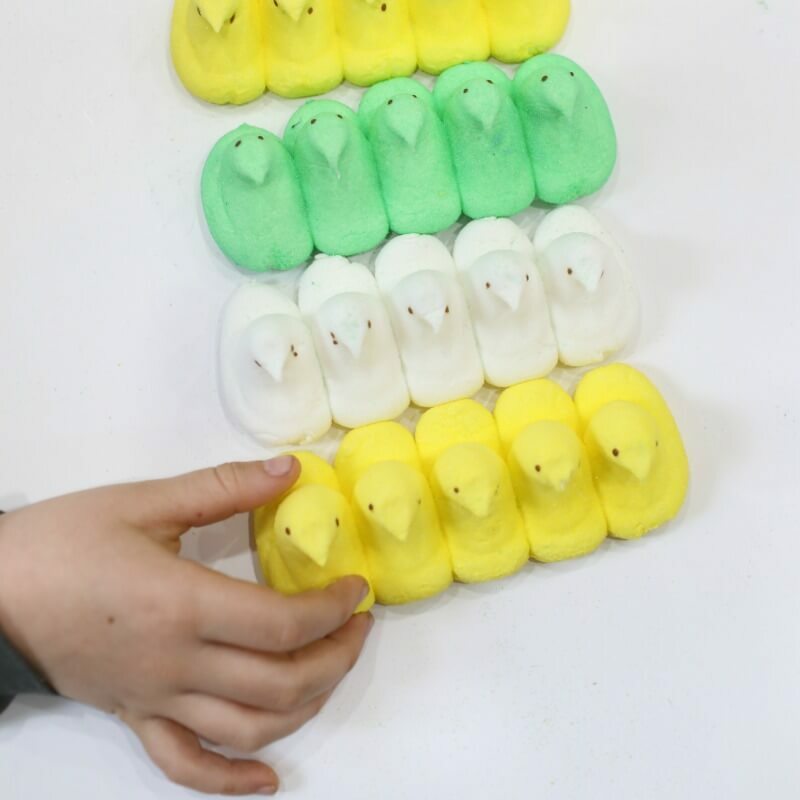 After finishing our Peeps stacking challenge the other day, my son told me he wanted to make some simple Peeps patterns. Why not, what could it hurt, right? Peeps are proving to be a really exciting learning tool in our house lately. Everyone from the toddler to the ten-year-old has taken their turn doing some learning with the Peeps these last few weeks. I know some people hate these things, but for some reason, we just can’t get enough. 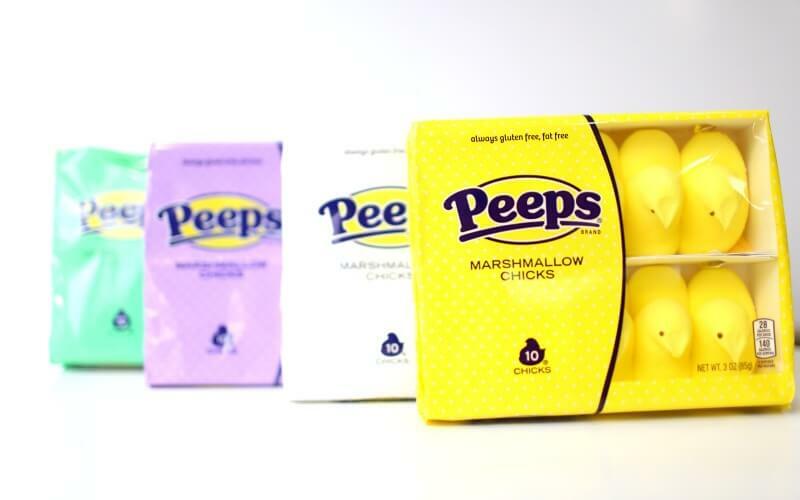 In fact, we have about 5 other Peeps activities we are dying to try, but we just ran out of Peeps. 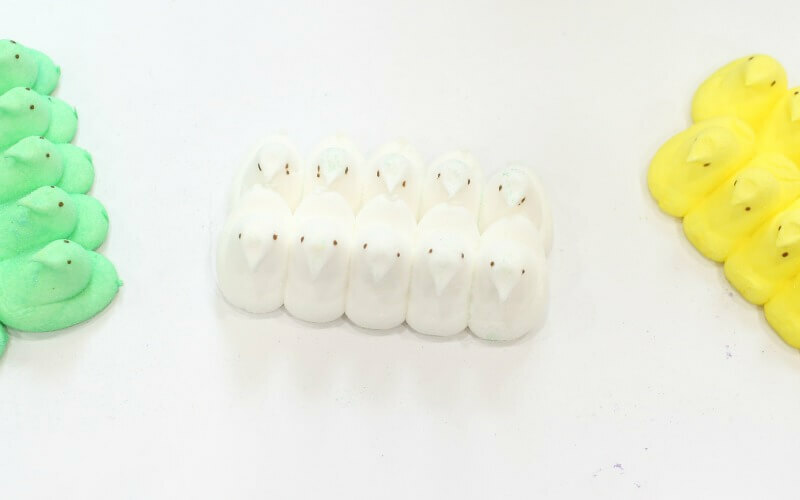 I promise we have never worked with Peeps, but if they wanted to send us cases of Peeps, we wouldn’t complain and we would come up with some massive Peeps fun. Are we the only ones that are this obsessed? This is another one of those activities that don’t take much prep work or many materials. 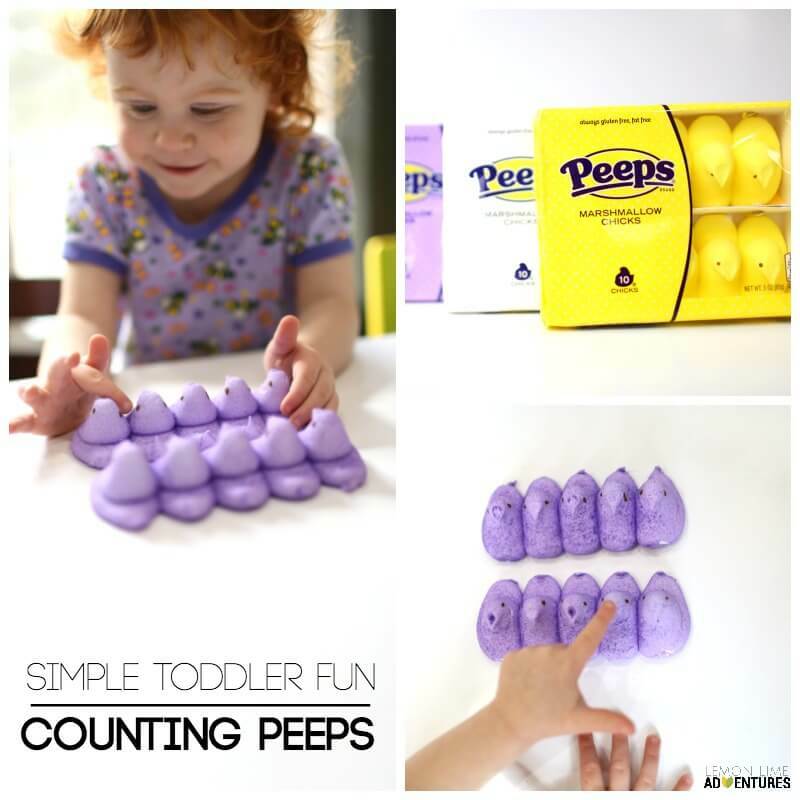 The activity is simple enough that all you need are lots of Peeps. Depending on the age of your child, you can make a variety of patterns. If your child is younger you might want to stick with a simple ABAB pattern. However, if your child is older, you can get a little more advanced. 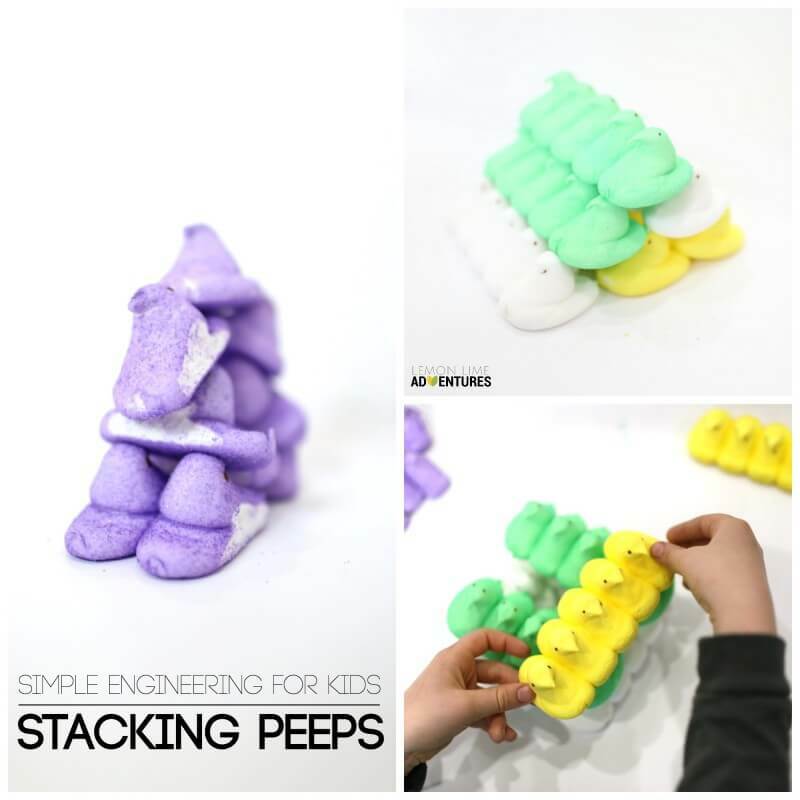 We kept our Peeps together for this activity because we wanted to use them again for our Stacking challenges, but you could separate the Peeps so that you have more to play with. We have been sharing quite a few Peeps activities. 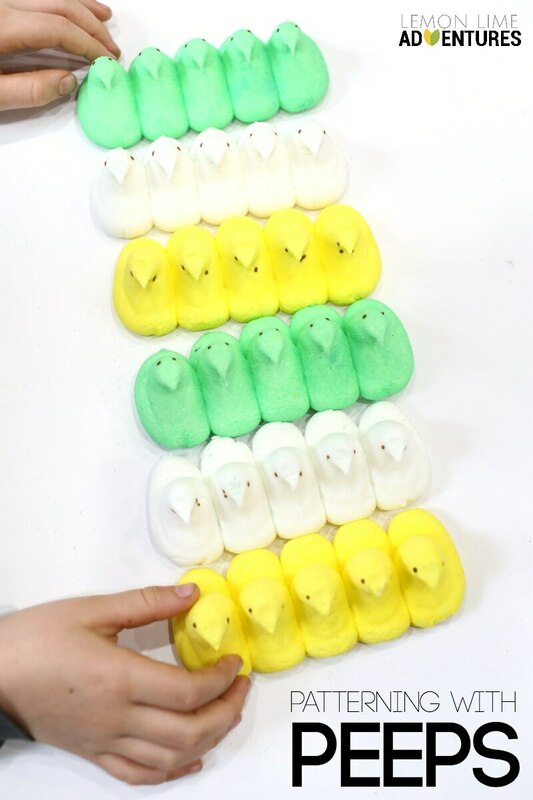 So far we have counted, made patterns, dissolved peeps, and even stacked our Peeps. However, that isn’t all our Peeps fun! In the past, we have made Peeps catapults, Peeps structures and even done Peeps jousting. 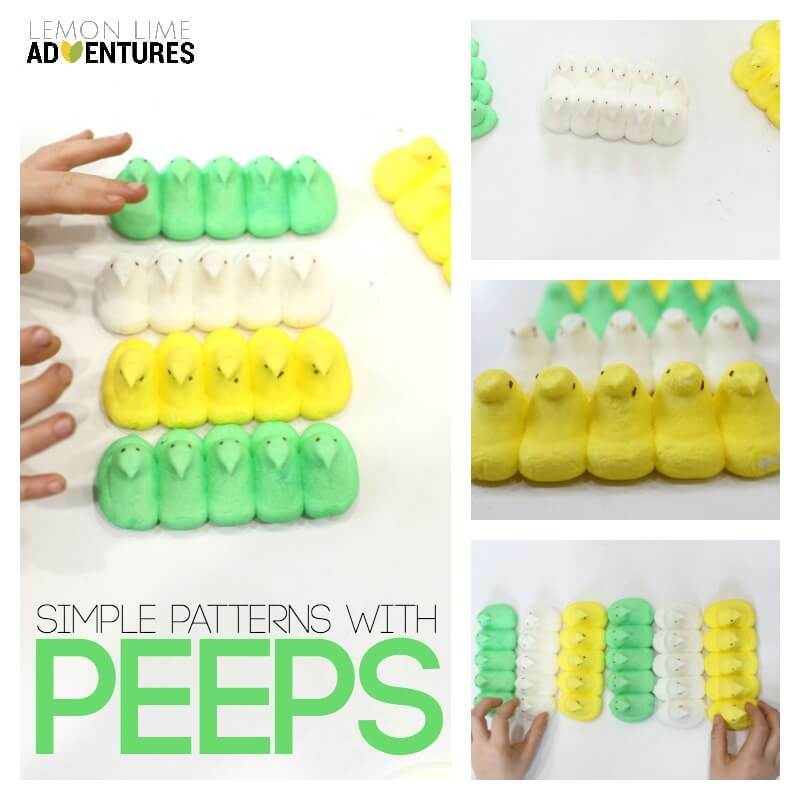 Do you have a favorite Peeps activity? I can’t wait to hear about it!